I mentioned a few weeks ago that Al and I did a month-long booze detox, which also included elements of abstention from other temptations, including candy (for Al) and fried food/dessert/cheese (for me). I loosened up the cheese prohibition at the end because, come on, what am I, Ghandi? But I’ve stayed away from the rest, except for a few bites of an incredible mint chocolate chip Magnum ice cream bar that Al bought after a particularly taxing hike we did on Saturday – but that’s another story. Anyway, we ended the Great Detox last Wednesday and the results have been really interesting. On Wednesday, after four full weeks of not letting one single drop of booze pass our lips, we decided to open a bottle of 2010 Catherine Marshall Pinot Noir, a gift from our friend Ali. We paired our oh-so classy wine with salmon steaks, quinoa beet pilaf, and Super Troopers, which my husband had somehow never seen (!!??!! ), a situation which obviously needed immediate remedying. As we drank the wine, we ooh-ed and aah-ed about how delicious it was and how we had missed drinking, and so on. “Oh, wine,” we cooed, stroking the bottle, “we missed you so much. We’ll never leave you again, we promise.” Okay, we didn’t actually say that out loud, but we thought it. And then, the next morning, I woke up and felt awwwwful: hungover, sick, tired, the works. “Damn you, wine,” I snarled, glaring at the empty bottle through slitted eyes. “A curse upon your house!! !” Okay, I didn’t say that, either. And I realize that cursing a wine bottle’s house doesn’t make sense. But I was upset! The next day was a holiday (“Human Rights Day”) and we attended a long-scheduled celebratory lunch with Al’s boss and colleagues to mark the end of a challenging project at work. Champagne was popped, and the waiter refilled everyone’s glasses several times. And, again, to my surprise, I felt like total crap after drinking. My energy was sapped, I was vaguely nauseated, and I regretted drinking any bubbly at all. This was sad for me, because I used to love a good day drink. But I was starting to realize that things might have changed for me. Continuing my experiment, the next night, we went to dinner with a friend and then to Cirque du Soleil. I had two glasses of red wine and felt okay the next day. On Saturday night, we went to a comedy show and I had one glass of red wine, and I felt perfectly fine the next day. Are you starting to see a pattern here? Let me spell it out for you: when I drink less, I feel better. Al and I concluded that our month of sobriety had essentially reset our livers, such that now we can tolerate much less booze than before — and this is probably a good thing. I don’t know why this never occurred to me before, but I think one to two glasses of wine for a night out is probably enough for me. Who’d’a thunk?? I guess li’l Stephanie is growing up. 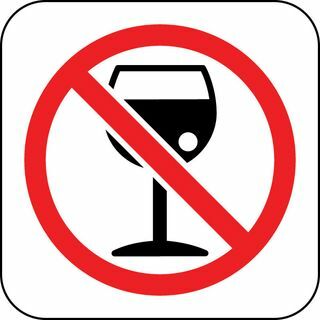 Don’t get me wrong, Al and I will never be teetotalers – we love and appreciate wine too much – but I think from now on we’ll be consuming booze less frequently and in smaller amounts — and savoring it. So, we’ll see what happens. But for now, in the spirit of appreciating alcohol, please enjoy this clip from Father Ted, our favorite priest-focused Irish comedy, about when Father Jack goes to AA by mistake. 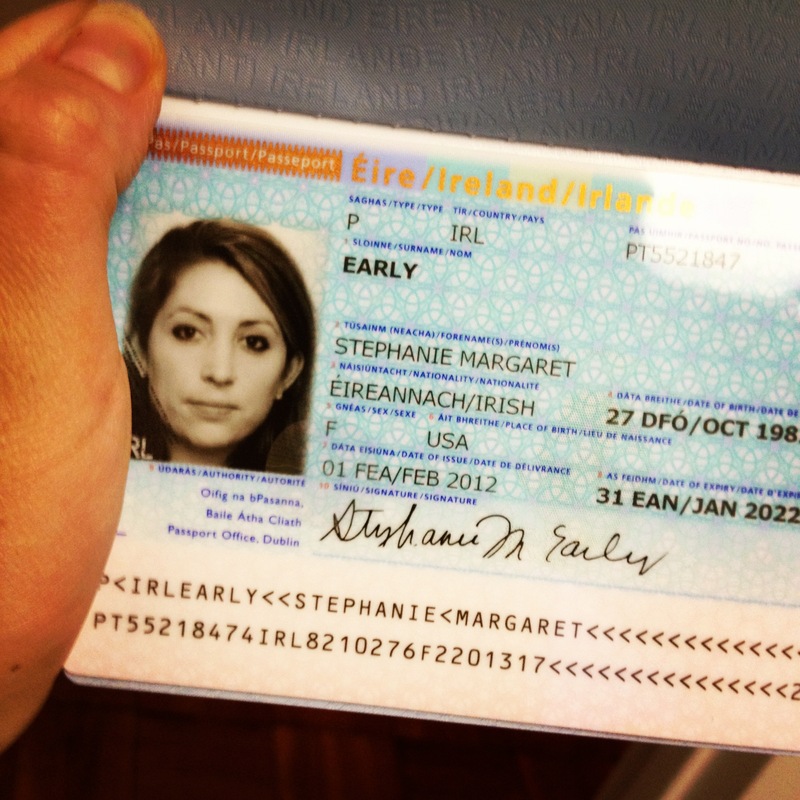 This entry was posted in Food and drink, Life and tagged alcohol, detox, Father Ted, wine on March 25, 2013 by Stephanie. I love me a good cup of tea. I grew up drinking tea and like most tea drinkers, I have strong feelings on what makes a good cup and can be a little obnoxious about it. It’s my tea or the high seas, I say (<– I don’t actually say this). I’m Irish. I’m allowed to have an opinion on tea. First, some background: my mom’s mom is from Ireland and the Irish love them some tea. In my family, tea is served constantly – any time anyone stops by, at family gatherings, before meals, after meals, during meals. The kettle is always on. You’ll have a cuppa tea. Ah, you will. Ah, go on. The Irish tea tradition, as I understand it from my own family, is different from the British tradition, where people drink tea with lemon and honey and sugar and things like that. 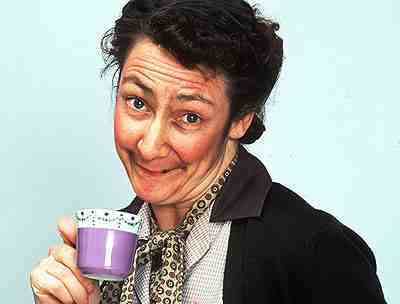 Irish people drink tea with milk and maybe some sugar. No lemon slices. No honey. Also, we like our tea strong – none of this weak tea business. Given my upbringing, my taste in tea is rather narrow. In my house (and in my grandparents’ house, and in my cousins’ and aunts’ and uncles’ houses) you’re probably only going to find one brand of tea: Red Rose. 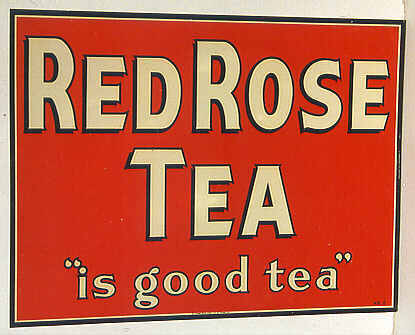 Red Rose, as it turns out, is not actually an Irish tea. It’s actually from – wait for it – Canada. Who knew? But, like Irish tea from Ireland, it’s made up of a blend of several black teas from Kenya, Ceylon, India, and Indonesia. So Red Rose tea tastes Irish. Plus, in every box of Red Rose tea, there’s an adorable figurine – beat that, Barry’s Tea. Anyway. I like a strong cup of black tea with milk. For many years, I could handle very little else in the tea department. I’d have the occasional cup of green tea because it’s good for me and has an inoffensive flavor, and I’d always drink tea at a Japanese restaurant, but I never went in for anything exotic, flowery, or fruity. I still don’t. And I take active offense to herbal “tea.” My husband was laboring under the delusion, before we met, that his beloved cup of “peppermint tea” was actually tea – it’s not. Sorry, honey. It’s an herbal infusion, which contains no tea and therefore will not pass my lips. However, living in other countries has forced me to broaden my tea horizons a little bit. In Argentina, I got way into yerba mate, which is actually an infusion of leaves and twigs from the yerba tree. Sounds gross, but is actually delicious and causes pleasant heart palpitations! And I’ve even tried rooibos, which is a tea native to the Western Cape province of South Africa and is quite popular here (although I tried it for the first time at a Starbucks in DC before I left). Turns out, though, that rooibos is actually a tisane, which, according to Wikipedia, is “a catch-all term for any non-caffeinated beverage made from the infusion or decoction of herbs, spices, or other plant material.” Hm. Nonetheless, South Africans drink their rooibos with milk, which makes me think it might not be so bad. What’s your favorite kind of tea/tisane/infusion? Do you share my distaste for anything herbal? Are you going to run out and buy some Red Rose tea right now? I hope so. Brew tea in hot water for 3-5 minutes, then strain out tea. Add whiskey and other ingredients, then serve. This entry was posted in Food and drink and tagged family, Father Ted, Ireland, mate, rooibos, tea on November 14, 2012 by Stephanie.